West Hampstead Life | What will the redeveloped O2 carpark look like in ten years? Anwer: “No idea”. 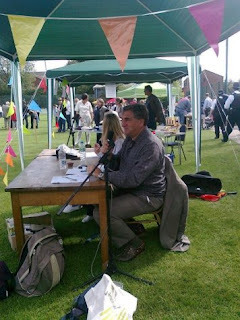 But a Neighbourhood Development Forum/Camden Council growth area workshop held on Saturday began to think about it. A masterplan for this was one of the recommendations of the Neighbourhood Plan. 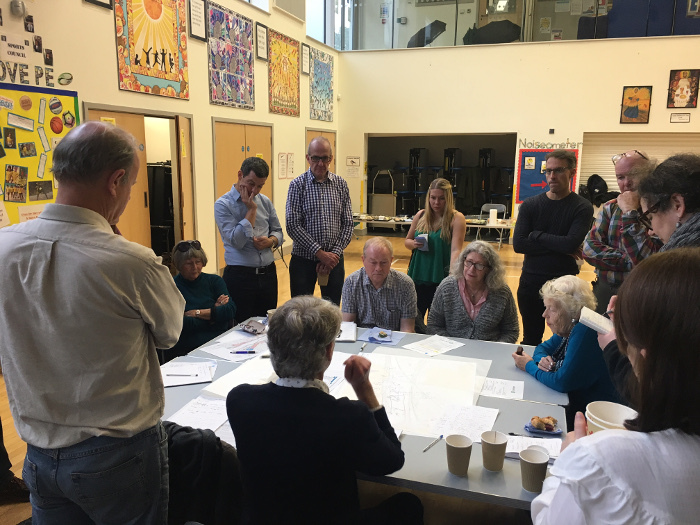 If you asked the 30 or so residents, councillors, Camden planners and others who turned out on a dull Saturday afternoon if the workshop was worth it, the answer would most likely be yes. It is easy to be cynical and it is clear that the process should have started earlier, but like it or not much of planning is governed by policies and ‘site allocations’, so having an input into those can pay dividends. The first question to deal with is whether the growth area should have a masterplanning ‘strategy’, a ‘framework’ or ‘guidance’? Less a question of semantics, and more of pragmatism: there is a trade-off between them in terms of their degree of influence versus time taken to prepare. A strategy takes time but has more influence, guidance is quicker but has less weight. David Morrissey from Camden’s urban regeneration and place team gave a really useful presentation of background information. The growth area is, according to the London plan, due to provide 800 new homes and 100 jobs; the Camden plan has similar but slightly higher targets of 1,000 homes and 7,000 m2 of business space (which would be more than 100 jobs). Development at Ballymore (198 units) and potentially 156 West End ( 164 units), plus the student housing on Blackburn Road already takes us a long way towards meeting these targets. Camden’s population is forecast to grow from 241,000 to 261,000 from 2010 to 2030 (an 8% increase) which will need 16,000+ new homes. There five growth in Camden, the largest is round Kings Cross, within the five Camden need to develop at least 7,200 homes by 2030, although they project they estimate they will develop slightly more than that, at around 8,000. More than 5,000 of the 16,000 homes are supposed to be ‘affordable’ and there was a good discussion on what this actually means. Apparently Barrett has stopped work on its nearby Kidderpore Green scheme because it isn’t making sales, so even expensive private housing doesn’t seem to be affordable! As for other parameters, David talked about how transport was a key factor, but was convincing that Camden was at least considering this. The much debated school capacity is predicted to be broadly ok, although a crunch for secondary places could hit in the early 2020s. Health facility provision seems to be more uncertain due to changes in the NHS, which takes a less strategic approach than it did. We then looked at the issue of density and the London plan matrix (link). Developments close to the tube station are ‘supposed’ to be up to 700 habitable rooms per hectare. Ballymore, Liddell Road and 156 West End Lane are all just above that, but the recently approved 317 Finchley Road (ten storeys) is over 900! Within the growth area, there is scope for development along Blackburn Road (the Builders Depot site and the Accurist building) but the most significant remaining development site in the growth is the O2 centre car park. Between the two are the Audi and VW showrooms, sites not currently ‘allocated’ but within the growth area. 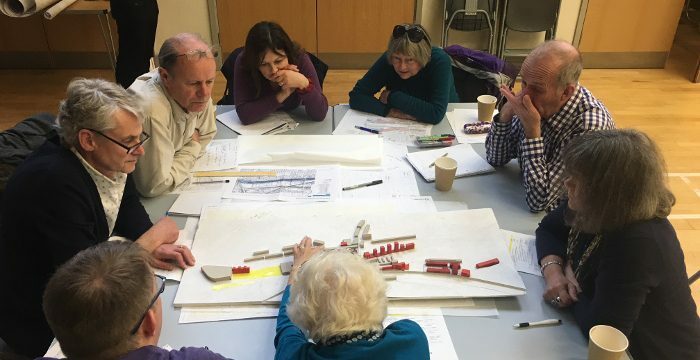 Groups around four tables then looked at options for the sites; improvements that could happen even if nothing was developed, development of ‘allocated sites’, development of those plus the car showrooms and finally the previous option with additional decking over the railway lines. Let’s be clear – it will not be an easy site to develop, the O2 carpark will have to remain open for customers of Sainsbury’s and other users of the O2 centre and there are at least three landowners involved. But, development is not impossible either. Each group came up with interesting suggestions and perspectives. 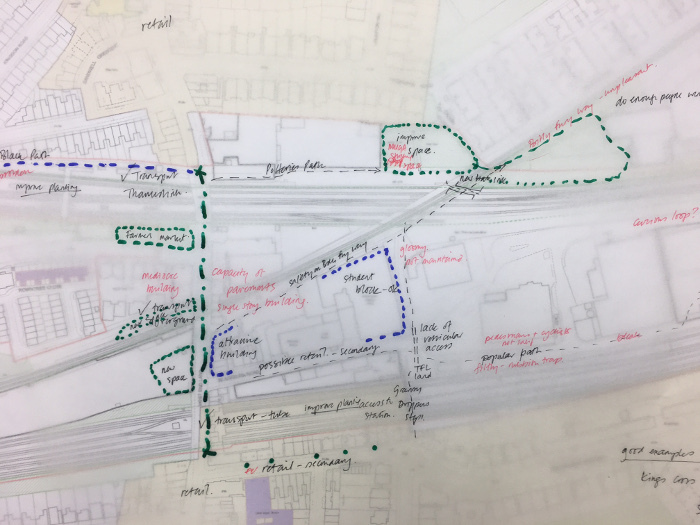 The “zero development” group suggested that a landscape architect/urban designer could be commissioned to develop a plan for between the West Hampstead stations, incorporating both big and small improvements, e.g., better planting on the platforms would be a small difference but one that affects the day-to-day experience of local residents. Improved access to the tube station(s) was a consistent theme, as was improving the pedestrian experience to the O2 as it was uninviting by Homebase and peters out into the O2 carpark. The next group noted that the O2 offers only a “backdoor entrance” to West Hampstead, and suggested the whole site could be ‘greened’ up. The third group suggested that including the car showrooms in the development would allow the path/open spaces to come down the middle. The final group was not convinced that the over-track decking would be viable. Assuming development was to happen, the groups then discussed how it could be laid out, what density it might be, what facilities and open space it might have, etc. 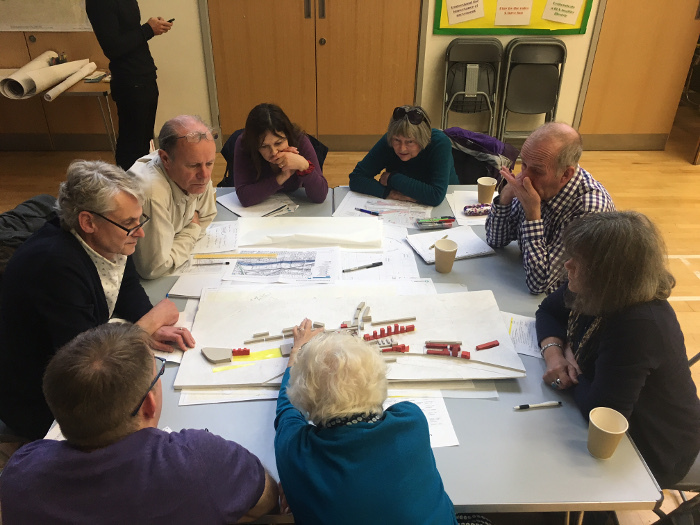 The groups came up with three options which could be explored/combined in future workshops: one central open space, a series of smaller linear open spaces, or raising the open space on a platform (with parking underneath). The development would probably be higher on the north side and lower on the south to allow more light and to relate better to the existing surrounding buildings. Back-of-the-envelope calculations estimated it at about 4 hectares in total, with ‘mid-rise’ development giving plenty of scope for new housing and development. There was huge amount to cover and in some ways the workshop only scratched the surface. Yet it was a start, the comments were thoughtful, and having contact with Camden planners was also helpful (for them and us). There is also quite a lot of useful knowledge that came out in discussions. Getting people together and first explaining the parameters before allowing them to explore options does allow good ideas (and maybe some not so good ones) to float to the surface. There were no developers at this stage, but when they do get involved at least there will be some embryonic ideas and suggestions to show, rather than a blank slate. The next step is to summarise the ideas and comments. The NDF will send out copies of all the presentations and a summary, which will be publicly available. To find out how effective the session really was? Ask again in ten years. Remembering West Hampstead soldiers who died in WW1 What have you missed since October 31st?